Thursday, April 11, 2018, 7:30pm. Buy tickets here. At the Ann & Jerry Moss Theater at the Herb Alpert Educational Village at New Roads School, 3131 Olympic Blvd., Santa Monica 90404. Parking available in the New Roads lot next to the theater as well as street parking. Your ticket(s) will be mailed to you by Brown Paper Tickets. The wonderful cartoon, “Cathy”, ran for 34 years in over 1400 newspapers across the country. Millions of women turned to “Cathy” first thing in the morning for her potent dose of satire, advice, commentary and wisdom on what it means to be a woman. She crossed generational lines and her cartoons were relevant to just about any woman, any age. “Cathy” made us laugh about diets, dating, family, struggles at the office, and just about every conceivable challenge a woman could and would face on a daily basis. We can relax now because Cathy has come back, and we the reader enjoy a fuller take on her wit, wisdom and observation. 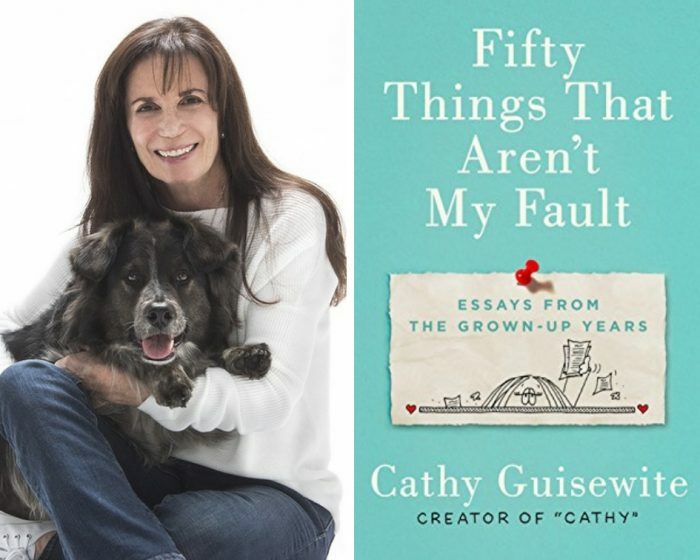 Her new book, Fifty Things That Aren’t My Fault, is one of the most anticipated books of 2019, and touches on much of what Cathy our cartoon heroine dealt with, but with the benefit of great depth. 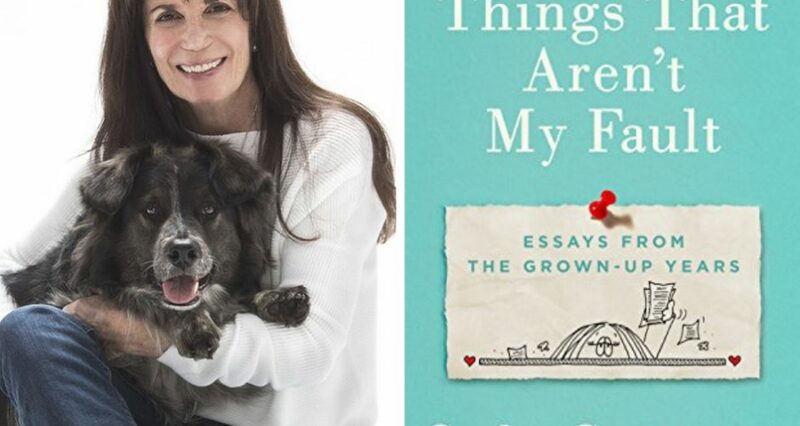 In her new collection of essays, Cathy Guisewite moves the conversation towards what it means to be an aging woman, with aging parents, downsizing (in all sorts of ways), and a great deal more. Cathy Guisewite distilled so much about life into a cartoon panel or two with a few strokes of pencil and a great caption. In her new wonderful collection, imagine how much more she gives us to thing about, and to laugh at. In conversation with actress Beth Grant. Beth is a character actor known for her portrayal of eccentric characters, whether on the Mindy Project as Beverly, or in scores of other television shows and films. She has appeared in three Oscar- winning Best Pictures: The Artist, No Country for Old Men, and Rain Man. This entry was posted in Author, Books, Books, Books, Calendar, Comedy, Past Events, Previous Events. Bookmark the permalink.